You want to pass on certain things like family traditions, a grandmother’s quilt or dad’s love of books — but no one wants to pass on a serious illness. Take charge of your health and help protect those around you by asking about vaccines at your next doctor’s visit. — This article combines information from announcements from the Connecticut Department of Health, the federal Centers for Disease Control and National Public Health Information Coalition. Vaccinating our children is commonplace in the United States. But many adults don’t know which vaccines they need, and even fewer are fully vaccinated. Babies, older adults and people with weakened immune systems (like those undergoing cancer treatment) are especially vulnerable to infectious diseases. They are also more likely to have severe illness and complications if they do get sick. You can help protect your health and the health of your loved ones by getting your recommended vaccines. The good news is that getting vaccinated is easier than you think. Adults can get vaccinated at doctors’ offices, pharmacies, workplaces, health clinics and health departments. Visit vaccinefinder.org to help find a vaccine provider near you. Most health insurance plans cover the cost of recommended vaccines—a call to your insurance provider can give you the details. 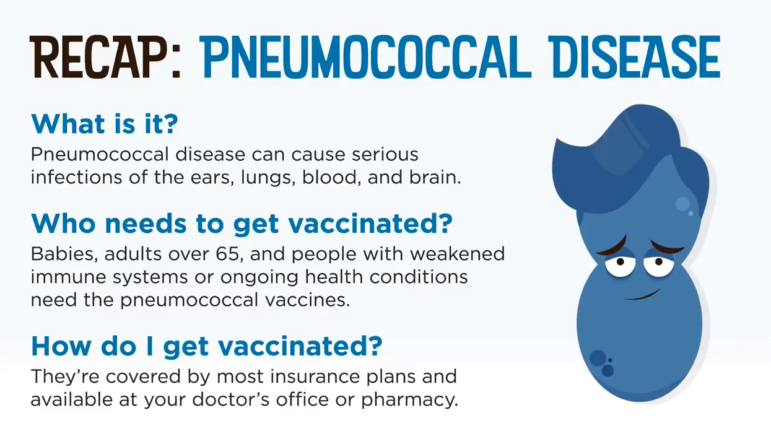 The national Centers for Disease Control recommends that pregnant women receive these two key vaccines: Tdap vaccine for pertussis (also called whooping cough) and Influenza (Flu). Whooping cough along with the Flu can be life threatening for mother and baby. Prenatal vaccines protect both mother and unborn baby, reducing potentially severe complications including hospitalization. Antibodies from the mother are also passed on to the unborn baby, which provide protection for several months after birth. This protection is critical since infants under 6 months are too young to get a flu vaccine. The CDC also recommends that women considering pregnancy should confirm with their medical provider their measles-mumps-rubella (MMR) vaccine history or immunity. Rubella can cause serious problems, including pregnancy complications and birth defects therefore getting this vaccine prior to becoming pregnant is critical as the vaccine is not given once pregnant. For more information about immunizations visit the CDC or the Connecticut Department of Health Web pages on Immunizations. The flu vaccine is now available on Oct. 25 and on Election Day, Nov.